FRAMINGHAM – Two men received second and third degree burns, when they were splashed by asphalt this afternoon, August 9, on Henry Street. 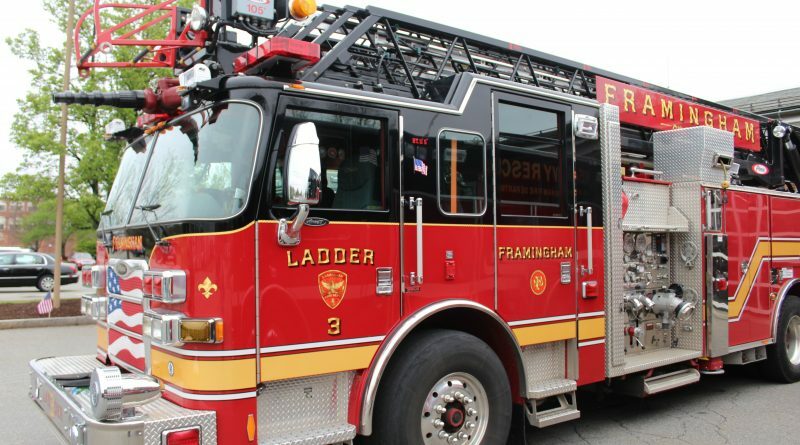 Framingham Fire responded to the site at 12:25 p.m. for a report of two adult males splashed with an emulsion of hot top, said Framingham Assistant Fire Chief Mike Dutcher. One man, 56, was splashed with liquid asphalt to the face, upper torso, arms, and hands, said Dutcher. He was flown by medical helicopter to Brigham & Women’s Hospital in Boston. The second man, 31, was splashed with the liquid asphalt to his hands and arms, said Dutcher. He was taken by ambulance to Mass General Hospital in Boston. Both victims suffered second- and third-degree burns said Dutcher. Neither were town workers, but sub-contractors for the town, said Dutcher. The two were employees of All State Asphalt in Sunderland, Massachusetts. The Occupational Safety and Health Administration (OSHA) and the Massachusetts State Police are investigating, said Dutcher.